The Herbs and Spices Blog is your way of keeping up to date with new additions to the Bespoke Spices website. We have interesting and helpful content that you'll find useful. Subscribe NOW so that you'll be kept informed of what's new. To subscribe, just right-click on the orange RSS button (see bottom buttons to the left) and then paste the URL into your RSS reader. Or click on the My Yahoo! button or My MSN or Add To Google button if you keep a personalized home page there. Continue reading "The Many Benefits of Cilantro | Medicinal and Culinary Uses of Cilantro Herb"
The aromatic green cardamom spice is an essential ingredient in many cuisines particularly Indian and Asian recipes. Add it to rice, soups, curries, coffee and even ice cream! 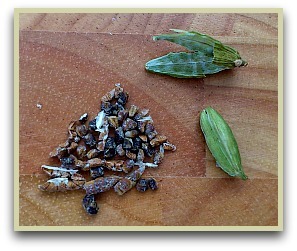 Continue reading "Green Cardamom | Add Fabulous Flavour to Curries, Coffee and Ice Cream!" Authentic Smoked Paprika | Roasted Over an Oak Fire the Traditional Way! Smoked paprika peppers roasted over an oak fire are a Spanish speciality! What could be more traditional and delicious! Continue reading "Authentic Smoked Paprika | Roasted Over an Oak Fire the Traditional Way!" 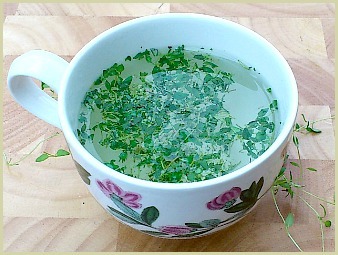 Mint Tea Recipe | Easy-to-Make, Very Refreshing and Super Tasty! Discover how to create a homemade mint tea recipe using fresh or dried mint leaves that is super tasty, very refreshing and extremely healthy! 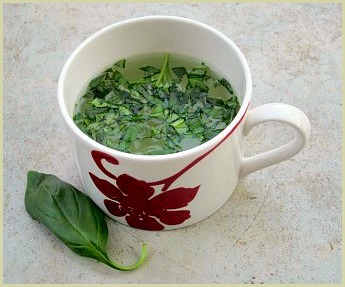 Continue reading "Mint Tea Recipe | Easy-to-Make, Very Refreshing and Super Tasty! " 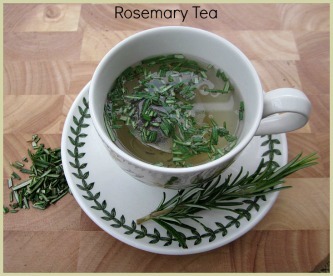 Continue reading "Homemade Spiced Tea Recipes | A Collection of Tasty Spice and Herbal Teas"
Continue reading "Herb and Spice Tea Recipes | A Collection of Popular Tea Recipes"
Continue reading "Parsley Tea Recipe | A Delicious Infusion of Chopped Fresh Parsley Leaves"
Continue reading "Basil Tea Recipe | A Delicious Infusion of Freshly Chopped Basil Leaves"
Continue reading "Thyme Tea Recipe | Use Fresh or Dried Thyme For a Super Tasty Drink"
Continue reading "Homemade Rosemary Tea | A Delightful Infusion of Fresh Rosemary Leaves"